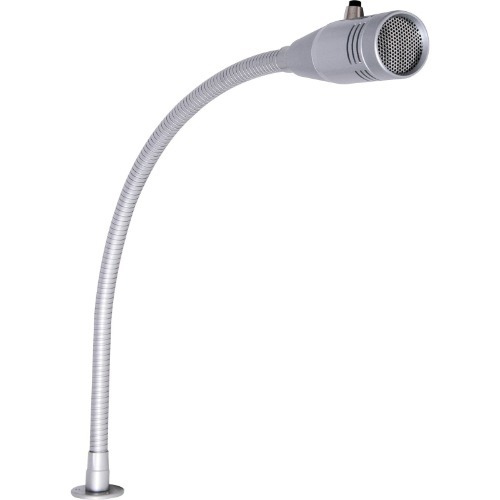 This incredibly sturdy all metal microphone is built to survive the rigours of supermarkets & fast food restaurants. Redback have made several key enhancements to this model, including improved balanced, screened curly cord cable for reliable noise free operation; and longer 450mm gooseneck for easier use. Include PTT pair for muting auxiliary inputs. Fitted with a heavy duty four core cable with bare ends. All metal casing and grille. PTT pair for muting auxiliary inputs. Heavy duty bare end cord. 450mm gooseneck with screw fit base. Ideal for supermarkets, fast food restaurants etc.